I have lived with a broken bi-fold pantry door for 3 years. I guess it hasn’t always been broken. Occasionally I would fix it, and put it back on its track. Only for one of the kids to attack the door in an attempt to get a handful of goldfish. And boom, it would be broken again. This week I had enough of that darn door. My mom was visiting so I thought together we could tackle this door and turn it from a cheap builder grade bi-fold door to a super fancy double door. And it worked. Well it may not be super fancy, but at least it has a bit of character now. To complete this simple project you will need to purchase 6 hinges (I only bought 4 so I have to add 2 more), a double magnetic catch, and 2 door knobs. Since I always seem to struggle with hinges I have taken a picture of the ones that worked for us. The hinges and magnetic catch were bought at Home Depot. You may also be able to re-use the hinges from your door. I only had 3 and they were all covered in paint. New hinges were only about $2 each so it wasn’t a big deal. This is the label for the magnetic catch. I’m sure any of them would work. To start remove door from track. And remove all hardware, top track, hinges between door, and any hardware along the bottom of the door. Remember the bottom of the door. We hung our doors and realized there was a screw on the bottom of one of the doors that we hadn’t removed and was now scratching the floor. Measure & mark on the door where you want each of the hinges (same on each door). Pre-drill the holes. Attach hinges to doors first. Add magnetic catch to top. Make sure it’s centre so that both doors hit it. We held the 2 doors up to be sure before we screwed it in. Now attach the doors to the door frame (pre-drill the holes in the door frame). You will need one person to hold the door and another to drill. Be sure to hang the door high enough so that it catches the magnetic catch. Once the doors are up you can add the magnetic plates to the back of the 2 doors. Now check to see if the door closes. If you have a gap between the doors you can add a piece of wood to one side (but this means you will always have to close one door first). With my doors we couldn’t actually close them. So we had to do some major sanding. I mean major. You can see my little helper vacuuming up the dust. After a ton of sanding the doors finally closed. We painted the door Seal by Martha Stewart. Love it. To hang the door knobs I got lazy. And instead of measuring I just added tape using the door molding as a guide. Drilled 2 holes and added the knobs. I found the knobs at Anthropologie for $8 each. It was way more than I wanted to spend but after a week of searching for knobs (could not find ones with a 1.5 inch screw) I just gave up. Besides who doesn’t love a trip to Anthropologie? Once I removed the old door handle I just used some spackle to fill in the hole, sanded it and you can’t even tell there was once a door knob in the middle of the door(even with the faux wood grain on the doors). Now I have storage on the inside of the doors. My pantry door is now much more functional. And I no longer want to kick it every time it falls off the track. So that’s pretty awesome. This project took about 2.5 hours including painting. Although if we didn’t have to do all that sanding it would have been much faster. So are you going to give it a try? If not just give your pantry door a fresh coat of paint and some pretty knobs. Why not add some charm and character to your pantry? Now just to tackle the inside of that pantry. Ah who cares no one sees that anyways. This entry was posted in home, kitchen and tagged kitchen makeover, pantry by Danielle. Bookmark the permalink. Even easier….just buy the upper and lower pivot hardware for a bifold and add to the other door. Remove center hinges and you’re done. Already perfectly gapped. Still need the magnetic latch. I haven’t done this one myself yet but have contemplated either this, or simply adding flat bracket to tie to the two doors together into a standard swinging door and fix the trim so it clears. For what I originally posted, pull the spring pin and remove your bifolds and look at the hardware at the pivot side. You can usually buy that hardware. Add the pins to the other door and remove the hinges between them. You would no longer be using the sliding pin in the track. I have a 2 panel bifold door the framing around the door is just plaster. So its not set up to install hinges. How can I support second panel to use as a French door setup? Hello! I am in the middle of attempting this project… However, I’ve reached a dead end. I removed the track and floor piece from the broken bifold system. As well as the decorative piece of overhang trim (that hid the bifold door track). I drilled the hole for the new knob on the unknobbed side of the door. ;) I grabbed my husband to help hold up the door to align, dot and pre-dill for the hinges- this is where the problem is. There is a 2 inch gap between the length of the door and the door frame. I can’t hang it even with an inch on top and an inch on bottom or the magnetic clasp will not reach. To allow the clasp to reach, the door would have to be almost the full 2 inches off the floor- which looks very odd. Anyone else run in to this problem? Any solutions on how to solve it? I just came across this last night and am thinking of doing this and will run into the same problem you’re having. I think the solution is to add wood behind the current door trim to build it out so the molding is flush with the top and sides and there isn’t that gap. I would install a transition at the bottom to fill the space. I am going to do this for my pantry and master bath and think I will have the same problem. They sell the wood transitions at the home improvement stores- cut to length and paint any color you need. :-) Hope this helps. Put a piece of decorative molding on the bottom of the doors to fill an inch of extra space. I refurbish lots of furniture and Hobby Lobby is the place to go for knobs. Just make sure you go when they are 50% off, you can’t beat that. If the screw that comes with the knob isn’t long enough or is too long, just go to your local hardware store that sells screws individually and you are all set. as adjustable home mortgage price styles. Awesome knobs at Hobby Lobby for 1/3 of the price. Also a huge selection. I did the same thing you did. Got my knobs (12) @ Anthropologie for a crazy amount of money then discovered Hobby Lobby. The doors look amazing! Great idea and wonderful job. Love the color. Can you please tell me the measurements of the door? Could you not get whatever knobs you want and get the correct length screw at the hardware store? I’ve gotten cabinet knobs and used them on closets after getting longer screws. or is the depth of the threaded area an issue? Inspired by your gorgeous and functional transformation I just found old bi-folds (2 for $25) to transform my tiny bathroom and pantry. I only bought two hinges per door, but was told I needed 3. After looking closer at your post I only see 2 per door, how has that worked? The doors aren’t super heavy, so I thought it would be sufficient. How has it held up? Thank you so much for the beautiful inspiration. I live in a 70’s house and evidently these bifold doors were a big seller back then. I have two sets in my hall for the linen closets, two sets in each of the three bedrooms and one set on my pantry. I think I will start with my pantry first. Thanks for the help. I am so IN LOVE with this idea. I’m so excited I think I’m going to go rip mine down and get started right now… I already have hinges since we recently moved in and I’ve been swapping out the door hardware. Thank you so much for posting this! I love the color you choose too! Looks great, I have double doors on a bedroom closet, I may try that with them, they stay off track and we just leave them open. off the track AGAIN and I wanted to throw it out the window. Totally doing this instead. Thank you!! Great job! I have the same problem door on my Pantry. Great idea!! Love this! I have the same basic boring doors in the same place in my kitchen and in my son’s room. I’m doing this as a weekend project this year. Great Idea! Thanks for sharing. I have done the same on four panel bifolds. Used flat metal strips on the back to make two doors into one and then proceeded as yourself. Mine had a drywall return so I first had to build out the sides with solid wood and then cut the width of the door. I did eight sets so it was a bit of a project, but well worth it. Never again will I have a bifold in the house. Good job. Found this tutorial over a year ago. I knew it was perfect for our kitchen reno. I finally converted our old bi-fold doors into french doors. WOW! Fantastic! I just found this while searching for doors like your “after”. I am starting with an empty space. I have a door frame with no door between my bedroom & bathroom…very 1980’s. Do you think I should buy a bi-fold door & do the makeover like you did or do you have any other ideas? Your finished look is just perfect! did you attempt this with your hallow doors? I have hung mine and they will not close. Thinking of trying to sand them? Thanks for the inspiration to do this! My closet has a drywall lip around the outside so I wasn’t able to add hinges easily. Instead I kept the bifold stationary hardware on the one side and just added the same hardware to the other side. After I split the doors I was able to swing both of them open easily. Love how you were able to work with what you had! I have been racking my brain trying to figure out how to make better use of my pantry closet. I was wondering if I could change my big old door to something that I could add some wire shelves to and this is going to work perfectly. Thanks for the great how to. Did this to my son’s room after many years of the doors just laying in a pile. They look great! Great idea, thanks! Hi there, how long did it take you to sand down the doors. Mine wot close and over lap quite a bit. Did you do one or both? I sanded both sides, and I used a little hand held power sander (Black & Decker Mouse sander) it didn’t take a crazy amount of time, I’d say 15 minutes or so. It just makes a big mess! Try removing your hinges then chiseling out a space for them into the side of the door. This will give room for the doors to close. Otherwise you can take them to Lowes or home depot and they can cutoff the edge for you for a small fee. Great idea! I’m trying to see in your pictures, but is the molding around your doors flush to the frame on the inside edge? Ours overhangs to the inside all the way around so I think it would hinder the doors from opening out if I tried this. Hi Mark, yes the molding is flush to the door frame. You may be able to find a different hinge that would work? So I just altered our bifold doors in the upstairs bifold doors on our hall linen closet. I can’t count how many times they were fixed and then even replaced. But now, thanks to your very helpful tutorial, alas, I expect successfully closed doors at all times. Well, at least now the potential is there! Silly boys and doors that can’t close on their own. This makes me so happy! I hope you’re happy with it. I pray I can do this, mine has been broken for 8 years! I now have chairs and boxes to keep them from falling because I can no longer get it on track. I have two bi-fold doors that meet in the middle, the door is like yours and open in the middle. Do you think your solution will work? Yeah I totally think that it would still work with a double bifold door (don’t know if that’s the proper term). You will just have to attach the middle of each door together in the middle to make it 2 doors that close. Does that make sense at all? My doors are the same. I want to leave the bifold part alone but hang them on hinges to the side door frame instead of the goofy hardware on the top. I’m thinking 2 magnetic catches for the top edge if each door and wondering if 2 more magnetic catches to the side of the fold would be needed. Did you try it? Curious if this worked for anyone. When you do your double doors and figure out what type of bracket you used to make the four into two doors, please let me know….I have the double doors on all my closets and pantry. Love this idea….thanks so much! Is this what you’re looking to do? I am dealing with full doors already, looking up how to hang them as double doors, but I found a lot of bifold to regular door conversions in my search. Yes….Thank you for responding back. Love this! I too have double doors I want to try converting to the French door style. Thanks so much for posting this fabulous idea to help get my wheels a turnin! We took an old solid wood front door that had panels and a flat center part-between the panels, a typical 6 panel door. I want ed to use it to make French doors for my hall so my carpenter cut it down the middle and then hung each 1/2 with standard hinges. We used a ball closure at the top to keep the doors closed and he installed standard passage way door knob on each door. They are beautiful and because he used the solid wood exterior door, once they are closed to the living area, it is very quiet in the bedrooms. We were remodeling the house so he was able to build the wall and frame the opening to accommodate the door. He was closing in what was once just an unframed opening to the hall which I hated. Brilliant !! Love this idea, I am having my husband help me fix ours today. I’m sure your husband loves me now :) Enjoy your Saturday! I clicked through for your tutorial very interested in viewing your french door conversion. Unfortunately, you did not convert your bi-fold door to french doors, but rather to double doors. Traditionally a french door has divided lite glass, but a single pane is also considered a french door. A french door may consist of a single door or multiple doors. You did a nice job on the double door conversion. FYI… A better catch system for a pantry door setup like you’ve created would be a ball catch mounted a the top of each door. How wide is your pantry doorway? I was hoping to try this with our bedroom door to give it an upscale feel but am wondering if our doorway is not large enough for it to look nice. I look forward to your response. Hi Amy my pantry door (not including the outside molding around the door) is 35.5″. How big is your door? Amy, I’m curious if you got this to work! My daughter’s bedroom has a door, window or vent on every wall making furniture placement tricky since she outgrew a twin bed. I am trying to figure out if I can replace the regular doors with these bi-fold “French doors” so they don’t intrude so far into the room! Her bed is in a corner against two walls so she doesn’t have to open the door all the way to the wall to get around it and her bed if the bed is anywhere else in the room! Thanks! Is the inside frame of the pantry door wood? Or is is just finished drywall with trim mold on outside of pantry door as mine is? Just wondering if you screwed the hinges into wood or dry wall. Love it! Thanks! Hi Karen yes I had wood on the inside frame of the pantry door. So it was wood that I screwed in to. Good question. Genius! I love this! Found you via the Best Project of 2013 link up! Totally pinning, btw, so I can use this in the future! Thanks so much Julia! I’d love to hear how it works out! Thanks for the idea! I hate those top mounted double bi-folds I have. I have wanted to put them on hinges for a while. Glad to see it works! Wow, these doors look amazing! I think you made the right choice going to the French doors. Everything French is better, in my opinion. Lol, yeah it sounds so much fancier! Hiya! I’ve had this idea pinned for weeks and weeks, collecting the perfect knobs, etc. Today was the day to clean the closets, get the winter gear out and gung-ho on the doors! I haven’t painted them yet but it was easy! They’re not perfectly straight yet and need some tweaking (was doing solo) but loooooooove it already. Now to do the hall pantry doors that I loathe! Thanks for the idea. I have bi-folds on all my bedroom closets, and while they don’t fall off or anything, I hate that I don’t have easy access to one side of the closet. Sooo, you know what projects I have coming up next, don’t you? Love the idea and look! My bathroom has a bifold door and I hate it!!! I want to do this but I will need knobs on both sides of the door! Do they sell little knobs like that? Yes I’m positive I’ve seen them! I would check out home depot, they may have to order them, but I’m sure they have them. I’m planning on doing this project this week. Just a quick question, you said you needed 6 hinges but I could only see 4 in the pictures. . . can you do this with 4 or is 6 better? Also, what is the approximate placement of the hinges? Thanks so much for your help. .. . this is such a great idea. . .I hate my bi-fold doors!!! Sorry to just be responding today, for some reason this went to my spam folder. Anyways, yes I only used 4 hinges but probably should have used 6. I actually went out and bought 2 more but the thought of taking the door down and adding the other 2 is just too much work, lol. Having 3 on each side will just give it extra support. But so far my door is just fine with only 4 (but my doors are also very light weight). And as for the placing I put them about 10″ down from the top and 10″ up from the bottom. Not really sure what the proper placement should be, but that worked. Good luck with your project! Thanks. I cannot access nearly enough of my closet space with these by fold doors and the ones that came with my house are cheap and cheesy. It’s really the lack of functionality that bugs me. I am so glad that I stumbled on this. I think I can do this! I know you can do it Cecily! Did you have a problem with there being a gap between the bottom of the door and the floor? Looking at my doors there is a space on both the top and bottom and I am scared that if I hang the doors a little higher (so that the magnetic catch works) that there will be too much space on the bottom and it will look funny. Good question I should have addressed that in the post. I thought I was going to have a big gap at the bottom too. But there is only about .5″ gap at the bottom. More than a normal door would have, but I don’t think it looks weird at all. This is awesome! They look so much better. Love the black. I can’t remember where I found you, but so glad I did! I’m following via Feedly. I’d love it if you would share this at “What We Accomplished Wednesday,” at Green Willow Pond. It goes live on Tuesday nights. Have a great week! Of course I will! Thanks so much for letting me know about your link party! Absolutely brilliant! A beautiful solution to my new home’s off-the-track-and-I-want-to-bash-it-in-with-a-crowbar problem! Now, if I can just find a how-to on how to change oversized mirror closet door with nasty 80s trim to sleek and elegant French door, I am in business! Seriously though, I had no idea on on how to deal with the pantry. Thank you SO much! I’m happy I could help Amy! This project is EXACTLY what I have been planning to do with my pantry doors. My only question: didn’t you need to add wood to the inside of the door frame once you took the bifold doors and tracking off? To make it flush with the trim? When my bifold doors were on, they were set behind the trim about 3/4″, so a regular hinged door won’t work unless I bring that part out? I don’t know if I am making sense, lol. In your “before” pic, the doors look inset like mine were. Thanks again for the great explanation! Hmmm, yeah I think you’re right that the door was inset a bit. But I brought the doors flush with the trim around the door frame. The hinges that I bought (the ones shown in the post) allowed the doors to open (some hinges won’t allow you do this if the door is flush). So I didn’t need to add wood to the inside of the door frame. I hope that answers your question. But everydoor is put up differently so you may have a different situation than me. I hope I helped. Do you have a small gap between the doors and frame due to the width of the hinge, or did you cut a mortise for the hinge (either in the door or the door frame)? Hey Melanie, I didn’t notch out a spot for the hinges (which is actually what you’re suppose to do, but I’m lazy) and when I hung the doors up I thought there would be a gap but there wasn’t. I actually had to sand the inside of the door down to get them to close. I hope that helps. The sanding you had to do is a direct result of not recessing the hinges. I think a router would give the required inset much easier than sanding “a ton”. Doing this project on the pantry and the linen closet right after the family goes home after Christmas! Do you have any ideas for transforming double bi-fold closet doors? I HATE my bedroom closet…. Yup that’s right but I didn’t have a router so I had to improvise. I also have a double bi-fold door that I want to do this on. I think for it I will have to buy some sort of brace the screw into the back of the doors to turn the 2 doors into 1 (so you end up with 2 and not 4). I haven’t tried yet, so not exactly what they’ll have at the hardware store to achieve this. Thank you!! I now have a clever way to hang my sons closet door! I plan to use command hooks for the inside of the doors to store his hats and belts! AWESOME!!! Thanks for sharing this beautiful blog with us. loves the knob too. I love it…..I have a pantry door that drives me nuts…this would be an awesome fix. Thanks for sharing. I hope I was able to help with your door! You are a GENIUS! I so want to do this, but my pantry has 2 sets of bifolds. Still might be able to figure it out by buying 2 doors the next time they are on sale or finding a pair at the local ReStore ….thank you for sharing! Of course Jody, thanks so much for leaving such a sweet comment. Such a fabulous idea. One question for you, though…are other doors in your house painted dark like this? And if not, does the one set of doors painted differently look ok? I just love the color and want to do this to my linen closet, but it is one of four doors in a hallway (at the end of the hallway) and I’m afraid the different color would look out of place. Any hints/thoughts? Good question. It is the only door painted dark (although the interior of our front door is also black) and I don’t think it looks weird. I think it works because both of those doors are different than all the other regular doors in our house. I think if your linen room door is a different size than the other doors it would work. You could always try it and if you hate it, just paint it white again. Danielle this is so genius! I love this idea. I can’t wait to share this with my husband when I see him later. Looks wonderful!! We also just bought our first house and we have four sets of bi-fold doors, I am so doing this. My first tackle is the laundry room, one side is always falling off the track and driving me insane. So this weekend watch out doors, here I come!!! Love it Annette! And congrats on your first home, that’s soooooo exciting! GENIUS! I’m all over this with a number of track-hopping bi-fold doors in my house. Thanks for the tutorial! Awesome idea, but my closets have 2 sets of bifold doors! I think that using your idea, I could just buy 2 full sized hollow core doors? Those dang things either A fall off, or B never shut all the way. Sick to death of them after 15 years. I also have 2 sets of bi-folds on my laundry closet. I took them down, replaced the hinges with flat metal plates so now I have 2 regular doors. Hated those bi-folds. This is incredible. Now when I look for my new house the by-fold door pantry won’t be an issue. This is a great idea that I will be doing this weekend! Thank you!!! You’re very welcome :) Enjoy your weekend project. You are BRILLIANT! Thank you so much for this idea and the excellent, excellent tutorial! I have been kicking my stupid bifold doors for years! After 17 years in this house, with my two daughters who are now in their 20’s, I’ve had enough of the stupid things. (And my apologies for the over use of the word stupid. bi-fold brings out the worst in me.) Can’t wait to try this out! My hub is skeptical, but I have your plans in place. Can’t wait till he goes to work! lol, I know my husband NEVER would have agreed to do it. I never even mentioned it to him. Just did it when he was at work one day (with my mom’s help) and he came home and it was all done. Sometimes it’s just easier that way :). Good luck with it Laura, let me know if you run into any troubles with it. Thank you SO much for this post! I had this exact idea and I had no idea how to convince my husband it would be possible! How much did you spend for extra supplies (hinges, magnet board, etc.)? That’s so funny Denna! I had the same problem I knew my husband would never go for this. So I didn’t even mention it to him. I waited 6 months for my mom to come and visit and we did it while he was at work. He came home and it was all done. As for cost the magnetic catch in the middle cost about $4 and I needed 4 hinges which I think were about $3 each (but you may be able to reuse the hinges that are on the door (depending on how many are on there). So for about $16 you can do it. Oh I haven’t heard of one bigger panel on one side. But you’re right it wouldn’t work if that was the case. But I totally promise that if your panels are both the same size than it’s totally easy to do. I have NO construction skills at all, and it was a simple project. I was about to rip the door off and just throw it out so I figured I had nothing to lose. If I messed it up, no big deal. Oh wow 5 doors! I would love to see a picture! You’re my new favorite person! I’ve been living with one double bi fold door on and one off of my laundry closet(which is right off my kitchen) for 5 months. Got tired of fixing the one so just took it off and chucked it into the garage. I’ve been racking my brain on what to do about the door way though and this is PERFECT!! I get to reuse what I have(always a bonus on a single mom income), cover my laundry closet, AND add some very sought after character and funk to my new house!!! Triple whammy!!! Thank you!! Amanda I love that! I’m so happy I could help you out. It really was a simple project, you’ll just need someone to help you hold the doors when you screw them on. Please let me know if you run into any problems, and I can try to help you out. It’s always the best when you can just reuse what you already have. 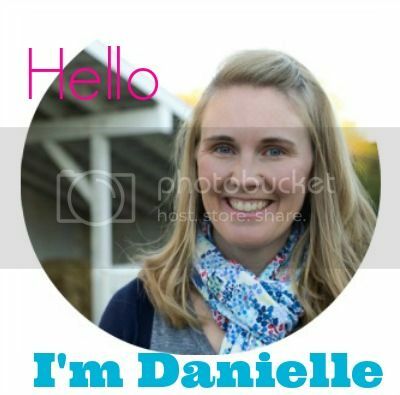 Danielle – such a great idea! I too have a bi-fold door that I have long since given up on fixing & fixing over and immediately over again. But mine is a little different and I was wondering if you had any advice/solutions to fix it. My bi-fold door is actually a bedroom door, and as such it really does not do a good job in terms of privacy (since it’s always broken as is). Would there be anyway to do a switch to french doors that would be more secure than the magnetic closure? Thanks so much in advance, I really appreciate it. Hmmm that’s a good question Sarah. I guess the only way to make it more secure would be to add an actual door knob to it, of course that’s way beyond my skills. You could always find a cute little latch though and put it on the inside of the door, maybe something like this http://www.cliffsideind.com/products/ibcl-pn-ice-box-style-cabinet-latch (I’m sure you can find a much cheaper alternative). I love this! Our newly-built-last-year entry closet STILL has no doors on it as hubby didn’t want to spend a bunch of money on closet doors. THIS is the perfect solution! Cheap bi-folds are always for sale second hand…and I can do this myself while he is at work and surprise him! Thanks so much for the inspiration! Yay…no more looking at coats, shoes, hats, gym bags, umbrellas, etc!! Cheryl that is so awesome! I’m glad I could help. If you live near a Habitat ReStore they always seem to have bi-fold doors. yes, they have bi-fold doors at the Restore, because they’re made like crap, don’t work, and people donate them. I don’t know how many times our handyman neighbor has fixed ours!We have the original, cheapy, hollow bi-fold doors that came with the house. Will this project work? Yeah I don’t see why they wouldn’t work, it’s worth a shot. I hated my pantry bi-folds, and pinned this tutorial for future use. Well, last week they broke again! I now have the doors rehung and need to sand. What did you use for sanding? I can’t tell from the picture. I used a small hand sander called The Mouse (I think it’s black & decker), but any sander would work. I so love the grey yellow combination! I wonder if this could be modified for a double folding door. Also, is there just as much room to reach in and get things as there was before the mod? Yes you can do this with double doors. Just use a metal brace to attach the back of the doors together. I plan on doing this with my laundry room doors. And as for space it actually gives me a bit more space because with the bifold doors folded up into the pantry so now the right hand corner of the pantry is actually more accessible. I too live in a builder basic home with my husband and two kids and am annoyed by all the closet openings that are made to fit the door rather than the amount of space in the closet. I love this idea and was just speaking to my husband about doing this a week ago. Very cool that I happened upon your site. Question: Did you attached the door hinges to the door casing/moulding or the wall just inside the closet? Good question I attached the hinges to the wall just inside the door. The proper way is to chisel a hole in the wood frame so that your hinge sits flush (check out another door in your house to see what I mean). But I thought I would screw that up and then have to replace the whole door frame casing so I just screwed the hinges in and then had to sand the edge of the doors (once the doors were all installed). I hope that all makes sense. My daughter wants to make some changes to her bi-fold doors and I was wondering if you had recessed the hinges as would be found on most doors so thanks for that bit of info. Each recess represents 1/8″ typically and yes that will affect the required gap between the doors. Temporarily set the hinge in place with the mounting screws so the hinge acts as a template then scribe the hinge outline with a good box cutter. Square corner hinges are easier to cut by hand than the round ones. Yes a wood chisel works best here for removing the waste. Adjustments to the depth can be made with wood or cardboard shims as required to square up the doors if necessary. Wayne, I didn’t recess the hinges into the door frame. That’s obviously the proper way to do it, but I thought I was a bit too advanced for my skills :). Instead I just sanded the edge of the doors. This is one of the best DIYs I’ve seen yet! I have three sets of double bifold closets and would love to covert them into french doors. Thank you so much. Thank you so much for saying that Donna! It really was an easy project that you can totally do yourself (you’ll just need someone to hold the doors for you-it will make it 1000x easier). Good luck! A piece of scrap wood, even a toy, under the door helps. Wedges can make this adjustable and a flat pry-bar is even easier especially if placed over a piece of scrap as a fulcrum so the whole door can be raised and lowered with one foot or wedged up to the proper height as required. What a super smart idea! Great job!! Oh my gosh, I LOVE this idea! When I moved into my house, I converted my hall closet into a pantry/utility closet, but those darn bi-fold doors block a good portion of the shelves. I am so going to do this – thanks for the inspiration! Awesome, I love hearing that my readers are going to try something new. You’ll love them. You are a lifesaver! We have 3 of these horrible bi-fold doors in our home and this is going to work so much better! Thank you thank you thank you!! I’ve pinned this post. Saw you featured at Fox Hollow Cottage. I love this Debbie, so glad I could help you. I still have to do my laundry room doors, can’t wait because they are also driving me crazy. I’ve been wanting to try this but I do not have the confidence that I will hinge it right. I am thinking of just using additional bifold hardware and leave the track up and just separate the doors. Elise you could always take the door off (remove the hinges between the 2 doors and on the one side that it’s attached to the wall) and leave the track up. Then attach the new hinges on the 2 sides. And if it works then you can take the track off and just add the little magnetic catch at the top. And if it doesn’t work then it’s not a big deal to put it back as a bifold door if it doesn’t work. But really this was a very simple project. I’m sure you can do it. The only thing is it really does take 2 people. My mom helped hold the doors as I hung them again. Just be sure to hang the doors high so that if you do use a maganetic catch the doors will actually hit the catch as they close. I hope this all makes sense. Good luck, you can totally do it! Oh man…what a great idea! Not only do they look fabulous, but it’s a much smarter design! You rock! I am going to have to do this! I love the yellow knobs. Found you over at Funky Junk interiors. The magnetic latch was a great idea. I love this article. I am wondering if it could possibly be adapted to a double bi fold door set. I would think I may need to just get new doors. Thank you so much for sharing this wonderful idea!!! This was a fantastic idea. I love the yellow knobs. Thanks for linking up! The doors are fantastic! I especially love that you chose black…It really pops! Feel free to join any of the upcoming link-ups! Thanks Ursula I just came across your blog for the first time today (I think I found it through Pinterest). Oh thanks and I love giveaways! I’m so happy to hear that I have saved you some money. That’s exactly why I have this blog. Good luck converting your doors and just ask if you run into any issues or have any questions. OMG, this is the best idea ever. Thank you so much for sharing! I have been wanting to do this to the entrance door in my TINY master bath. When the door is opened, it takes up a huge portion of the bathroom. The only thing I need to figure out is how to lock them for privacy. They have a ton of hardware so it may be a good place to look. I think it could be a fun way to add some character to your door though. What did you do with the holes where the knobs on the bi fold door were at? I just found this on Pinterest and was wanting to do this to replace a full door in my linen closet. Since the existing door was a normal door, there are spots where the hinges were routed out in the door frame, did you just install the hinges without routing out a spot for them? Jenna that’s actually way better. Just place the new hinges in those routed out spots, and then you wont have to do any sanding of the door to get them to close. I didn’t rout out a spot for the hinges because I didn’t have the tools/ figured I would butcher the door jam. So I had to sand the sides of the doors to get them to close. Lol Alycia! Yay I’m so glad you’re going to do it too. I plan on doing my laundry room doors too and they are also the double bifold doors. I plan on just attaching a metal plate to the back of the 2 doors and attaching them as one door. Hope it works out for you. Thanks for taking the time to leave a comment. It’s so nice to hear that my readers are actually going to try one of my tutorials. Thanks so much for repinning it Julia. You’ll have to let me know how it goes! I’d love to hear. I absolutely love this idea! I have bi-fold doors in my laundry closet and a bedroom closet. They are so obnoxious to open and close. Definitely will do this! Thank you so much for the inspiration! Of course, thanks so much for taking the time to leave a comment. I’d love to hear if the doors work out for you. OMG!!!!!!! I found this right in time. My closet door came off yet again this morning and I was stomping around saying some not so nice words to myself trying NOT to put it threw the window when I seen this on Pinterest. This is now going to be my weekend project for the three closets. THAK YOU so much I think you may have prevented my little boy from learning a few new words lol. I totally understand what you mean Lisa. I’m so glad I could help. My only advice is stick with it. Several times throughout this project I thought I had ruined the doors and didn’t think it was going to work at all. With a bit (maybe a lot) of sanding I got the doors to work. And I’m totally amazed at how well they work now. I was just doing this as a temporary measure until we could afford to get a real door put on. But we love them so much we’re just going to leave them on. They are so sturdy and open and close really easily. It’s amazing what about $10 in new hardware can do. This is brilliant. I LOVE IT! I am featuring it at somedaycraft.blogspot.com. I heart this so much I could scream!! You clever thing! Love. This is my favourite comment ever! Thanks for taking the time to visit and leave such a nice comment. OMG that is an AWESOME idea, Danielle! I would never have thought of that. pinning now! Oh that’s so cool–and I love the knobs too! What a brilliant idea – would have never thought of that!!! And love the color and the yellow handles! Thanks so much Suzan. I hated my old bifold door so I did it in desperation, and it actually worked. this is such a great idea! I dislike our kitchen bi-fold door so much! I am working on improving our kitchen, and I will be adding this to my list, actually I think it will go on top of the list and hopefully get done this week end, well may be not the painting! thanks for a great tutorial! Oh this makes me so happy that you liked the tutorial enough to try it! You’ve made my day Morgane. It really was a very simple project. I have no skills when it comes to carpentry but this was easy. I’d love to hear if it works out. and unpainted areas!!) thanks again! That’s so awesome Morgane! I’m so glad it worked for you. I understand the whole old house problem. Our last house was 120 years old and nothing was square. But it was so much more charming than the house we’re in now. I hope this answers your question Connie. I was so impressed with this tutorial, that I am actually in mid-door transformation!! I have one question….how did you patch the hole in the door center where the original handle was? I was just going to slap some spackle on it but feared it would cover the wood grain pattern. I can’t tell where your hole was? Anna that’s exactly what I did. Just used some spackle that I had in my garage. You can’t tell at all. I was a little worried about being able to see it too. But you can’t tell at all. I LOVE this idea!! Will definitely be using it to turn a closet near my kitchen into a Command Central Cubbie! Thanks for the tutorial! Cool! I have never thought of doing this, but I love the idea! French doors are so much nicer! Pinning – I want to try this! Thanks so much Steph. I just visited your blog. Love it. Now following you on Twitter and Pinterest. Thank you so much for the feature Stacey! I LOVE that idea! And those knobs are too freaking cute! Stopping by from Show off Your Shell Linky. Thanks so much Alexis. My husband actually picked the knobs out. What a great idea! I am with you on wanting to kick the door! It looks awesome with the yellow knobs! Gorgeous doors – this is such a creative idea for sprucing up an old door. Love it! Thanks for sharing this at The Weekly Creative! The doors look great! I love this idea. Oh, and I just saw another commenter talking about Raleigh. I’m just south in Fuquay Varina. Looks very nice and I love those adorable knobs! Just linked up. And I’m now following you on fb and Pinterest Ginger. Love meeting other local bloggers. This is an amazing idea! We bifold doors on our “laundry closet” and we want to change them to French doors… I’m not sure this would work for our space because we have two bifold doors that meet in the middle, but I would SO be trying this if there were only one. Lauren I have the exact same doors in the my laundry closet and I plan on doing this with them. But since they are double bifold doors I am just going to add a little metal plate to the back to attach them and make them one door instead of 2 panels. You will see a little crack between the door but that’s OK with me. I hope that makes sense. I plan on doing it in the next month or so and I’ll post the results on my blog. Danielle I love your blog and am going to do this in my laundry too. Thanks for sharing all of your knowledge and ideas. I’ll post my before and after and send you a link. Thanks! That would be awesome Tracy, I’d love to see! Such a great idea! So stylish with the fun knobs! This is great! I would love to have you link up to the party this week. Marie thanks so much for visiting my blog! Just linked up to your party. Great tutorial, Danielle! Now, if only I had a bi-fold door to remodel at my house! Love the knobs, too! I love this tutorial! What a great idea to add character to a home! I also loved checking out your black and white striped laundry – so cool!! I’m in the Raleigh area too!! So glad I came across your blog! I love finding other Raleigh bloggers, thanks so much for stopping by. Heading over to your blog now. What a great idea! It looks awesome! Thanks for linking up to Monday Funday! The knobs are perfect. They dress up the doors perfectly. I wish I had thought of this trick in our old house with the bifold laundry room doors that constantly came off the track. I probably spent as much time rehanging them as it took you to do this entire redo. Seriously. Those doors and I were not friends and they were such a pain to get back on the track. I wish I came away with more from Anthropologie but that store is way too expensive. But I do love it. Genius! What a great idea! Love the your sanding helper, too. lol, my kids are still young enough to think those chores are fun. What a great idea! And I absolutely love the color you picked! Thanks Jacque I’m still not sure about the colour. But I always have painters remorse. What a great idea Danielle! They turned out perfectly. Genius idea! My bi-foldsf drive me nuts. Would love to do this. Thanks for sharing! LOVE your doors now – nice job! What a great fix. They look fantastic. Visiting from Aloha Friday Blog Hop. Now following via G+ and Bloglovin.